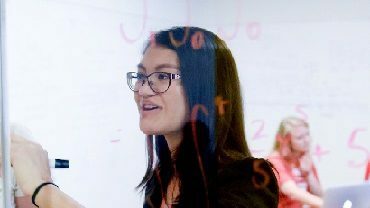 The MAT program is an accelerated teacher licensure program that leads its graduates to both an initial teaching license and a master’s degree in as little as a year-and-a-half (full-time). Read more about Professional Licensure. In the MAT, we expand our knowledge and impact, and continue to support teachers’ needs to integrate practice with theory as well as to experience today’s culturally diverse and technology-enhanced classrooms. 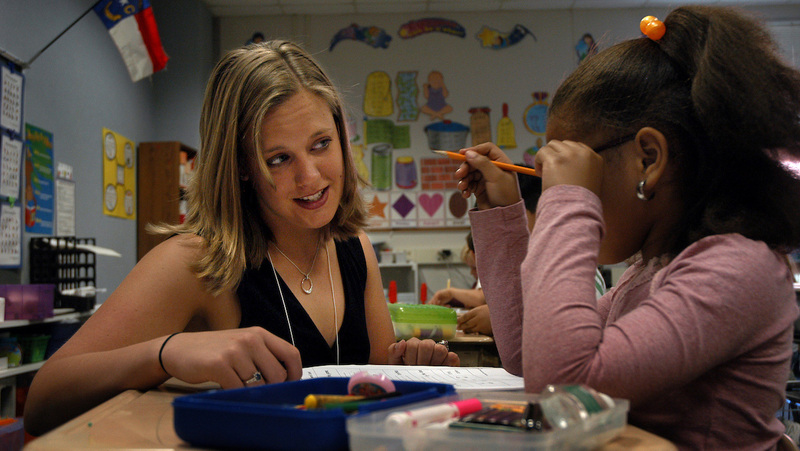 The MAT provides an outstanding teacher preparation program at a reasonable cost. 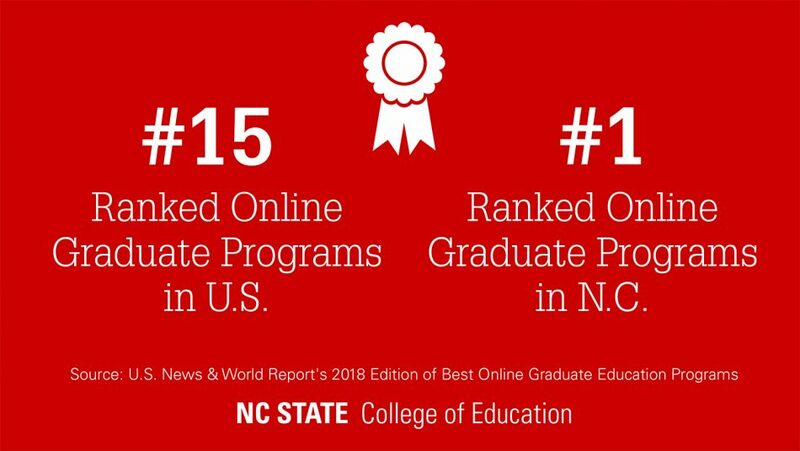 The MAT program at North Carolina State University follows a hybrid model, including classes that are online, face-to-face on the main university campus and face-to-face off campus, also here in Raleigh. Please note that the MAT’s focus is on preparation to teach in K-12 schools rather than an advanced credential for practicing teachers or a precursor to research-oriented doctoral studies in education. 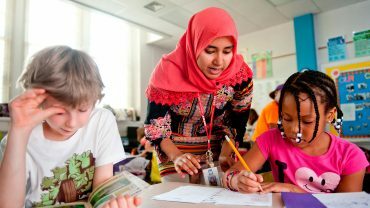 The Social Studies Education MAT program in the Department of Curriculum & Instruction prepares teachers to teach secondary social studies including history, political science, government, civics, geography, and behavioral sciences. To view NC curriculum for required and elective secondary social studies, click here. The program results in licensure in grades 9-12 and focuses on a combination of social studies subject matter and pedagogy related to preparing young people for the rights and responsibilities of citizenship in the United States. Students are admitted in the spring, summer 1, or fall semesters. Meet the specific requirements of content area or grade level. See specialty coursework under curriculum for content standards. In the absence of a content degree, 24 semester hours/credits in content relevant to the area in which you wish to teach are needed. 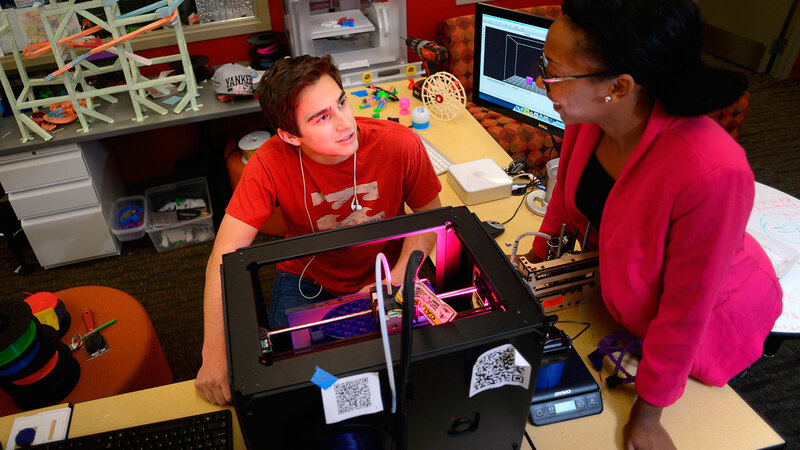 Candidates who are missing content area courses can take them at a local college or university or as a PBS (post-baccalaureate student) at NC State prior to admission. If an applicant does not have the 24 content area credits needed to be accepted into the program, he or she can still enroll in the first graduate classes as a Non-Degree student (NDS) while completing the full 24 content-specific hours and transfer those credits into the degree program. Up to 12 credit hours with a grade of “B” or better can be transferred into a master’s degree program (either completed as an NDS student or at another institution). * Please note that the Master of Arts in Teaching is a Distance Education program, so students on university-sponsored visas are not eligible for this program. Please contact the Office of International Services with any questions. This master's degree requires 33 graduate credit hours. At 2018-19 tuition rates, the cost of the required courses is $453 per credit for North Carolina residents and $1,261 per credit for non-residents. Thus, the total estimated cost for the 33-credit program is $14,949 for North Carolina residents and $41,613 for non-residents. See Online and Distance Education Tuition and Fees for cost details. MAT participants can undertake this program full-time or part-time. Depending on the content area, the program is approximately 33 credit hours, including a full-semester student teaching experience. Designed to enable students to understand and use appropriate classroom assessment practices by applying knowledge of pedagogy and development to high-quality strategies for formative and summative assessment. Students will explore best practices using developmentally-appropriate assessment strategies including authentic assessment, portfolios, and electronic portfolios, real-time feedback, open-and closed-ended formal assessments, and standardized testing. Particular attention will be paid to examining the rationale for assessment, and the implications of assessment. Students will explore and apply the major philosophical and historical influences to current educational context as they relate to issues of diversity. Focus will be placed on theoretical and practical issues of diversity in classroom settings, especially related to culture, race, gender, ethnicity, language, and socio-economic levels. [Field-based experiences will be required]. Provides a brief introduction to educational research focusing specifically on classroom action research. Requires admission to MAT; completion of 6 hours in the program. Builds on earlier course work [ED 570] preparing students to refine an action research proposal, collect data in a school setting, write a report, and to identify resources and activities that will support their ongoing professional development; requires 9 hours of graduate credit in the MAT curriculum. To increase students' knowledge of persons with high incidence disabilities [i.e., learning disability, mild intellectual disability, and serious emotional disability], and how to manage the behavior of all pupils in educational environments. Characteristics of students with high incidence disabilities will be emphasized , as well as strategies to reduce the likelihood of problem behavior of all pupils in the classroom. Resource teaching in area of special education, with emphasis on resource teaching with students with special needs. Types of resource programs, establishment and maintenance of a program, selection of students, curriculum and materials. A supervised teaching experience requiring a minimum of 10 consecutive full-time weeks in an appropriate school classroom. Designed to develop the knowledge, skills, and dispositions necessary for teaching at the elementary, middle and/or secondary level. Includes regularly scheduled clinical observations and conferences. Requires successful completion of at least 21 hrs. in the MAT program and approval by specialty area faculty. Student responsible for transportation to placement site. 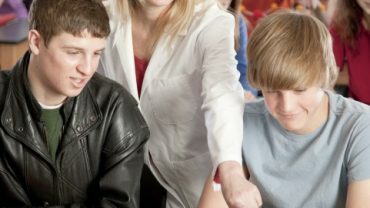 ECI 563 is a course that involves teaching techniques, innovations, development of teaching and evaluation skills, and in-depth subject matter inquiry in the area of secondary school social studies. Adaptation of instruction to individual learner differences, and selection and design of instructional materials will be explored. Must be enrolled in Secondary Social Studies MAT Program. Analysis of principles, strategies and application of new teaching approaches. Structured projects and practical experiences. A critical analysis of the literature relating to the teaching and learning of social studies and the drawing of implications for instructional practices. In-depth study of topical problems in social studies education selected from areas of current concern to practitioners in education. An examination of theoretical frameworks for global learning and comparative studies of various national approaches to K-12 education. This course provides students with multiple lenses through which to consider how we teach and learn given the demands and opportunities present in our interconnected world. An online Graduate Certificate offered in Fall 2017 by the College of Education will help education professionals prepare for a statewide mandate to improve student success in North Carolina’s public schools.